What Is The Glue On The BOPP Adhesive Tape Jumbo Roll? The glue used by the manufacturer of the BOPP Adhesive Tape Jumbo Roll is mainly composed of glue and adhesive, and the scotch tape with these components is sticky. Scotch tape is a tape that is used daily after being subjected to high-pressure corona on the basis of BOPP original film and then roughened on one surface and then coated with glue. 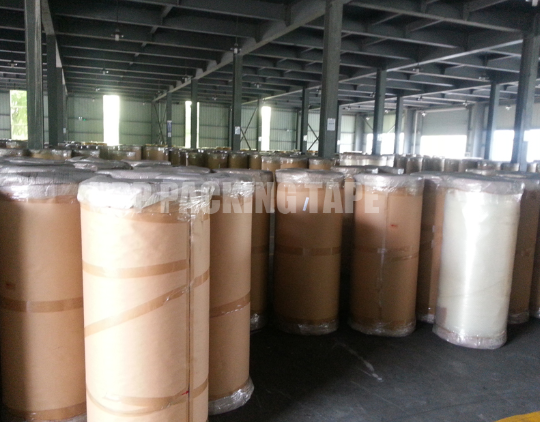 BOPP Self Adhesive Tape Jumbo Roll glue is acrylate glue, also known as pressure sensitive glue. The components of the pressure sensitive adhesive are: glue adhesive tape, solventless pressure sensitive adhesive, solvent pressure sensitive adhesive, curing pressure sensitive adhesive, rubber pressure sensitive adhesive, acrylate pressure sensitive adhesive, and other pressure sensitive adhesive. The adhesive tape is also coated with adhesive. The synthetic adhesive is mainly composed of main agent and auxiliary agent. The main agent is also called main material, base material or adhesive. The auxiliary agent is curing agent, diluent, plasticizer, filler and coupling. Agent, initiator, thickener, anti-aging agent, polymerization inhibitor, stabilizer, complexing agent, emulsifier, etc., may also include flame retardant, foaming agent, defoaming agent, coloring agent and anti-proof according to requirements and uses. Ingredients such as mold. Previous: Is The Smell Of BOPP Packing Tape Jumbo Roll Toxic? Next: Why Avoid Using Water With Self Adhesive Tape Jumbo Roll?